Loreto in India owes its origin to a visit by Dr Bakhaus to Loreto Abbey, Ireland, in 1840 to request Mother Teresa Ball to send Sisters to set up a school for Catholic children in Calcutta. 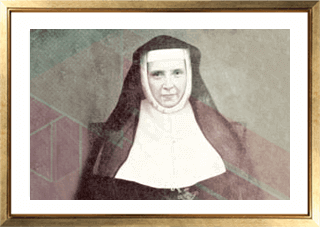 In 1841, Mother Teresa Ball sent seven Loreto Sisters and five Postulants, all in their twenties, under the leadership of Delphine Hart to India, announcing that they would probably never see their homeland again. They were welcomed at Calcutta by Bishop Carew, and installed at Loreto House, 7, Middleton Row. They were the first congregation of Sisters to come to North India. Francis Ball was born in Ireland in 1794, and educated at St. Mary's Convent, a boarding school conducted and run by the members of the Institute of the Blessed Virgin Mary, in York, England. She heard the unmistakable call of God "Seek first the Kingdom of God and His justice and all these things will be added unto you." 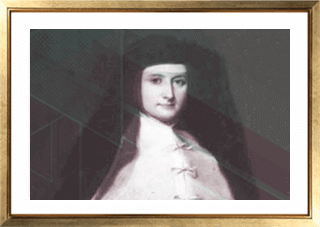 At the age of twenty, Francis returned to York to enter the novitiate, preparing herself for the foundation of the Institute of the Blessed Virgin Mary in Ireland, and made her profession as Mother Teresa. In 1821 Teresa Ball established the first House of the Institute in Ireland and called it Loreto, the name by which all the subsequent foundations made from Ireland are still known.